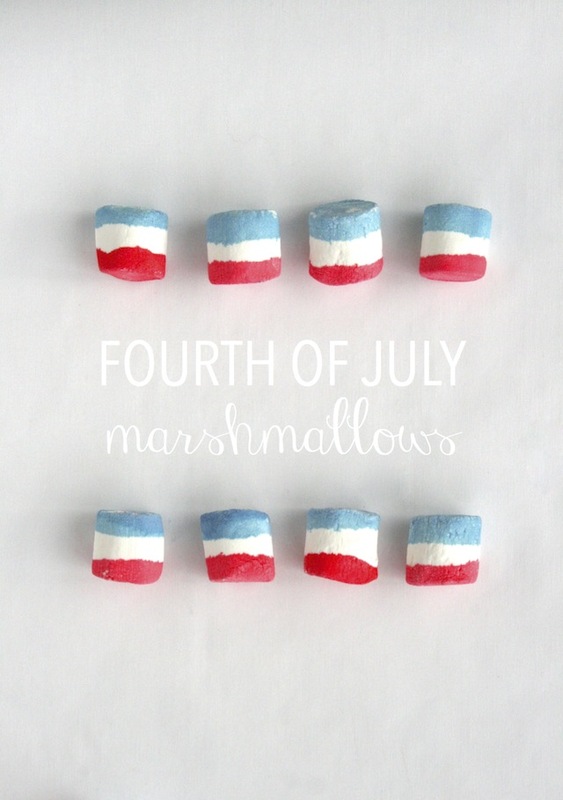 Easy Dip-Dyed Red, White & Blue Marshmallows! / Hey, EEP! 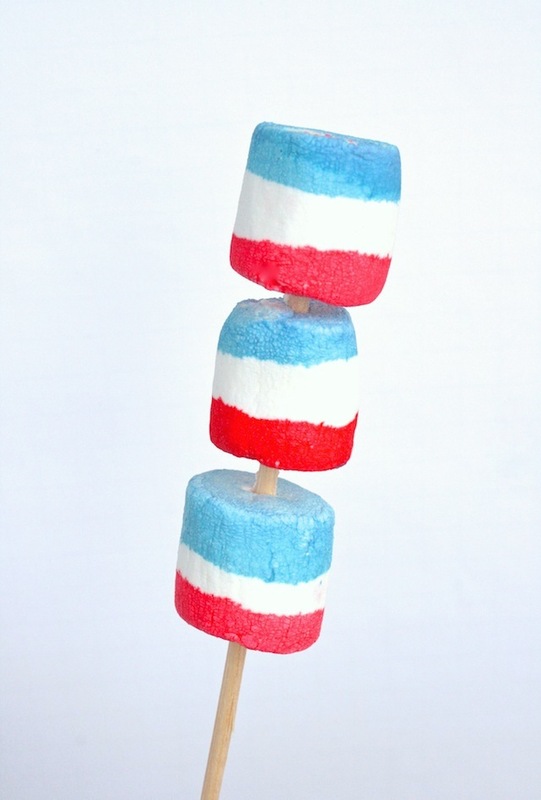 Easy Dip-Dyed Red, White & Blue Marshmallows! 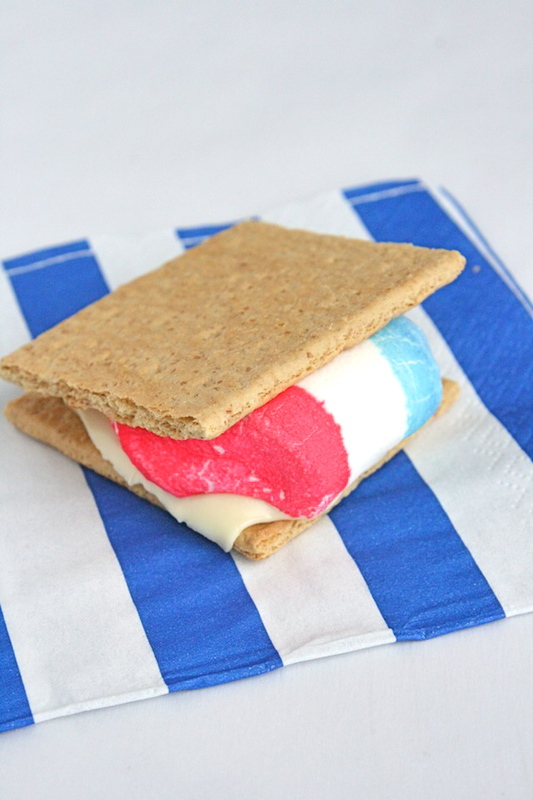 Turn plain marshmallows into an special last-minute treat for July 4th. They'll dress up your s'mores and they're a cinch to make. It took me less than 30 minutes to dip-dye a whole bag of marshmallows. Another reason to make these: This recipe costs less than $5 for over 3 dozen servings! All you'll need is 1 bag marshmallows and 1 package food coloring. How fun would these be on your July 4th dessert table? As you know, I have a bit of a marshmallow obsession, so I'll probably eat these plain. 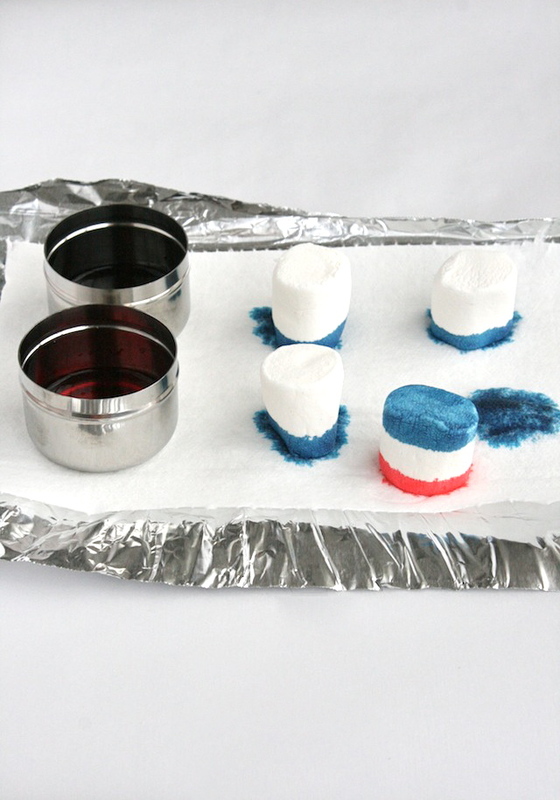 But why not set out supplies for a Red, White and Blue S'mores? 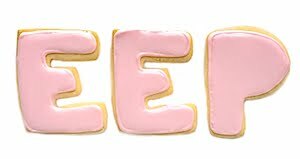 Arrange marshmallows, skewers, white chocolate bars and graham crackers for guests to toast and assemble as desired. Ooo! Or organize all of the ingredients in a gift box and use these red, white and blue marshmallows as part of a patriotic hostess gift! 1. Put the red food coloring in a small bowl, add 1 teaspoon water and swirl to combine. Repeat with the blue food coloring in a separate small bowl. 2. Cover a work surface with aluminum foil; top with a piece of paper towel. Dip 1 side of the marshmallows in the red food coloring; let dry 10 minutes on the paper towel. 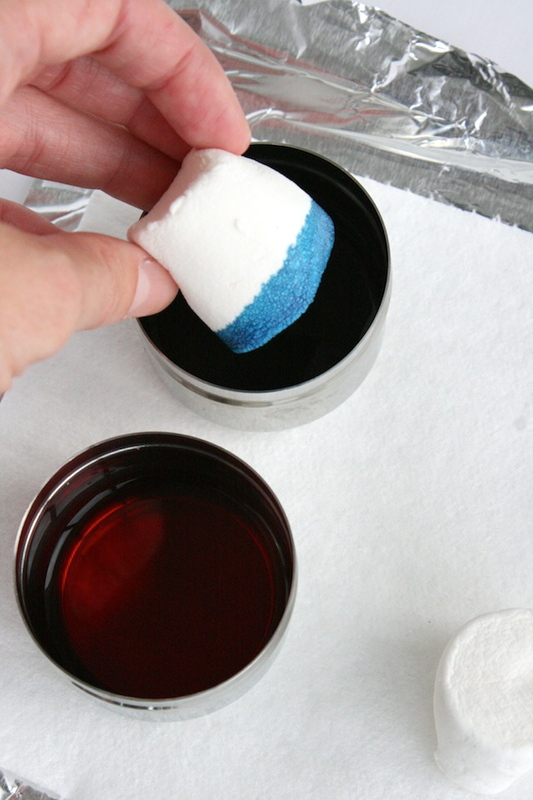 Dip the other side of the marshmallows in the blue food coloring; let dry 10 minutes. Not a problem! I ended up putting them right on the foil, which seemed to do the trick. Parchment would have better choice, though. It also could have been because it was too hot in my sweaty Brooklyn kitchen. They spent the night on the foil in the fridge and looked good when I put them in there last night. Either way, I know they will be a hit tonight, drippy bits and all. Thanks again for the great idea! 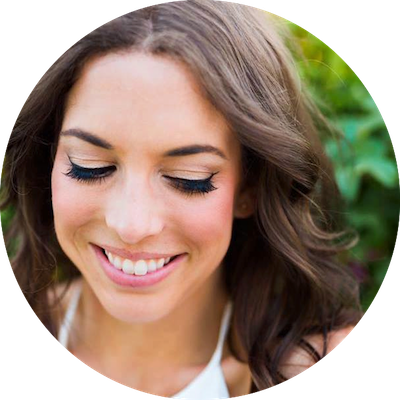 Erin, these are just darling! Love how bright the colors turned out, too. Pinning this to try next year! (And knowing me, I won't be able to wait that long to give it a go....) :-) Hope you had a Happy Fourth.